← What is the Proprietary Extraction Process that MOXXOR uses? The loss of a cat or dog can be an agonizing experience. To most animal lovers, our animal companions are every bit as important as members of our human family. People who have suffered the loss of their cats and dogs usually have other family members and/or pets who are also grieving the loss. The question that most often arises is: Do we wait, or do we adopt a cat or kitten or dog or puppy to help fill this empty void? 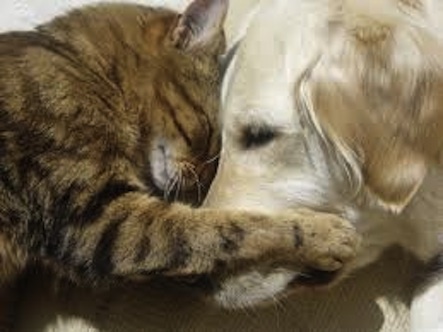 Certainly a kitten or puppy or an adult cat or dog can be there to help and comfort the grieving. But even more than that, when one is used to loving their pet, it’s very difficult to not have a recipient upon whom to lavish this flow of love because our love doesn’t die when our loved ones do. Adopting a kitten or puppy or adult cat or dog from an animal shelter may be the answer. With so many cats in shelters in desperate need of homes and people to love them, the ideal way to help the grieving process and to prevent their needless death is to bring home one of these babies. These adoptions are beneficial to both the adopter and adoptee. The decisions that plague us at the end of our pets’ lives are heavy burdens to bear. For instance, is it too late to seek alternative healing therapies when the animal has been through so much? Should we choose euthanasia (a humane death by injection), or permit our animals to endure until the end? If you choose not to euthanize, you’ll want to provide hospice-type care to make sure your cat or dog remains as comfortable as possible. Some animal communicators and psychics feel that animals reincarnate in tandem with their human companions and with each other. The closer the interspecies bonding, the more likely and more frequent such reincarnation is to occur. Some even believe the species are interchangeable. Metaphysicians often recommend that you tell your animal companion you understand that they wish to leave this body, and that you will welcome them in their new one, so their spirit may continue its bond with you. Consider making arrangements for your pets in your own will or with your loved ones in the event of your death. There have been many cases where pets have come to tragedy when their people died without leaving instructions for their care. The time needed to grieve is personal for everyone. However, it is quite necessary to work through the process, because denial is even more painful, if not truly harmful, in the long run. One way to think about this is to visualize a flight of stairs in front you. Place apathy on the first step, grief on the second, then continue up the stairs to fear, anger, and pride, then allow three more steps at the top of your flight; courage, acceptance, and peace. You might ask yourself which step you currently find yourself standing upon, as these are the most likely steps that one in a healing process must climb to reach the goal of peace and acceptance. It is often difficult to move from one step to the next as we find ourselves getting stuck, because frankly the pain is so difficult to endure. To help your body physically understand the concept of letting go of the grief and move to the next step, grasp an object, such as a pen, in your hand and squeeze it as hard as you can, and then turn your hand over and open your hand. Just let the object fall; release it. If you can imagine releasing a feeling, such as anger with this much ease, the process becomes simple, even elegant. Move through each one of the steps of grieving in your own time and release these emotions. Again, flower essences are really helpful at times like these. You may select one or more that resonate appropriately to the feeling you and your animal companions are experiencing. You might view death as a departure on a great ship. Just as the ship sails away from us, and we wave goodbye from the shore, at the same time someone waits on the other side, waving hello. Our animals make this journey with grace if we only allow them this dignity, which is their birthright. Sometimes euthanasia is the best option, particularly when the last days of an illness are likely to involve suffering, or if treatment will be painful or lengthy, with little hope for full recovery. Quality of life is an issue that veterinarians are taught to consider, but occasionally the enthusiasm for a new chemotherapy drug or surgical technique may override common sense. Before you allow your beloved animals to be drugged, poked, prodded, or surgically explored communicate with your pet (see http://www.care2.com/greenliving/nonverbal-communication-with-our-dogs-and-cats.html) and try to ascertain what they want. If they are ready to cross over to the realms of light, the most loving gift is to support them in that journey, whether by euthanasia or supportive hospice care, to allow them to go on their own and be surrounded by the people they love to help them pass, like Shaman have done for millennia. As with living, we can learn so much from our animal friends about death and dying. They seem to view it as a natural progression. It’s so very difficult to watch the ones we love leave their physical bodies, and I’m sure they’re sad to leave us just as we’re sad to lose them. But finally, after we grieve and say farewell, we must concentrate on taking care of the living. We keep our love for the pets who have moved on safely tucked in our hearts. It may be cliché to say that time heals all wounds, as we all carry the scars of those wounds and wear masks to cover them, but somehow we find the strength in their honor to carry on and keep loving, grateful for having had this special being in our lives. We’ve been changed permanently by living with our beloved animal companions. In that way, they live forever in how we interact with the world. Animals, and humans for that matter, may not be of this Earth but could quite possibly be souls that have chosen to use this planet as their setting for a spiritual experience in a physical body. Animals may not operate in the same complicated way as humans but rather participate in life through nature. Our animal companions are by no means lesser beings than we are, just different and they bring out the very best in all of us by teaching us the true spirit of unconditional love. 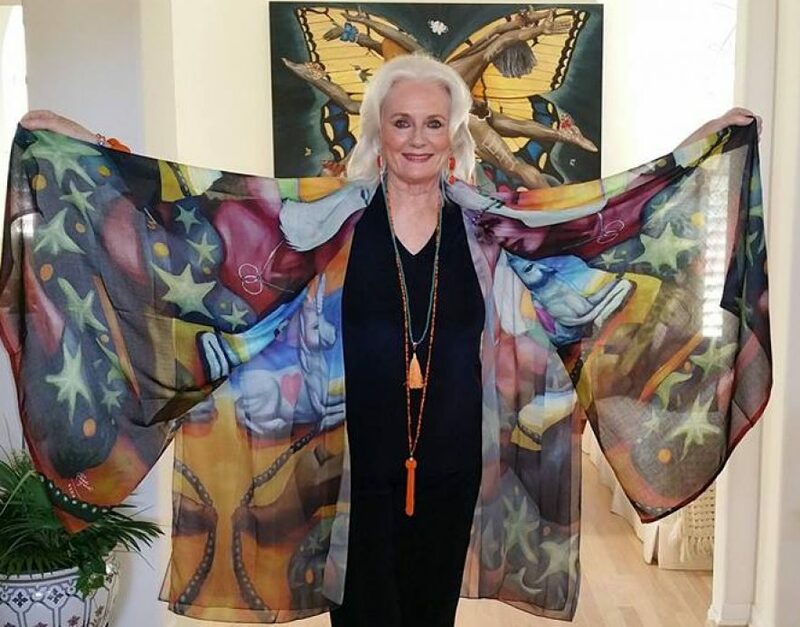 For more alternative and anti-aging therapies for cats and dogs and grief consultations see The Complete Guide to Holistic Cat Care by Celeste Yarnall, Ph.D and Jean Hofve, DVM and Natural Dog Care by Celeste Yarnall, Ph.D or see the Celestial Pets website. I was blessed to have taken a stray off the street during snow storm 9yrs ago. She was the world to me. She passed into her celestial being 2weeks ago. I miss her. I can sti feel her presence and all that positive energy she shared w/me. I hope to see her when I pass. I know I will never 4get her. I miss her sooooo muchhhhh.